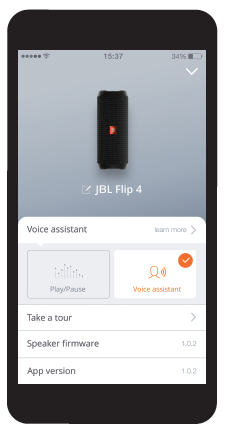 Tap “Voice Assistant’ in the JBL Connect app, to make the “ ” button as the activation key of Sid or Google Now on your phone. 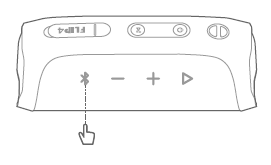 Press the “ ” button on the speaker to activate Sid or Google Now on your phone. Please make sure the Sid or Google Now is enabled on your phone. 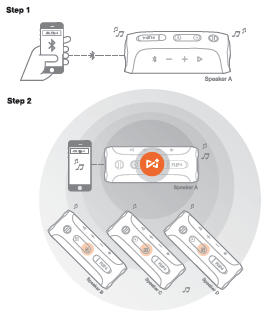 Wirelessly Link 100+ JBL Connect+ Speakers Together. 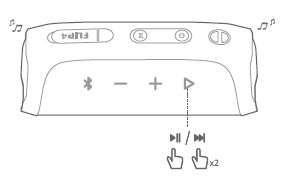 Play music on one of you JBL speakers and then press the JBL Connect+ button on all desired speakers to start pairing. 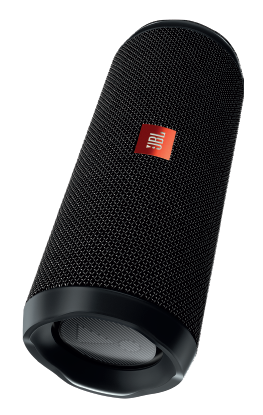 Al the other JBL speakers will play same music from the music source. 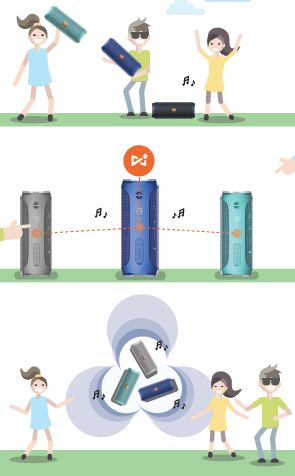 Download the JBL Connect app for the following features: stereo setup, firmware upgrade, and device renaming. 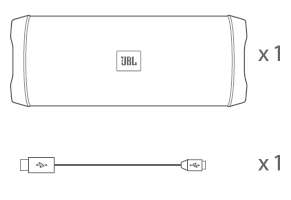 IMPORTANT: To ensure that the JBL Flip 4 is waterproof, please remove all cable connections and tightly close the cap; exposing the JBL Flip 4 to liquids without doing so may result in permanent damage to the speaker. 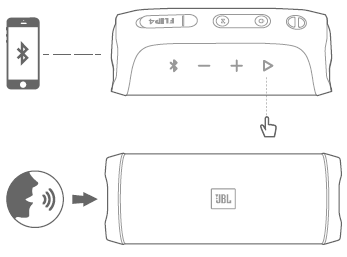 And do not expose JBL Rip 4 to water while charging, as doing so may result In permanent damage to the speaker or power source. IPX7 waterproof is defined as the speaker can be immersed in water up to lm for up to 30 minutes. 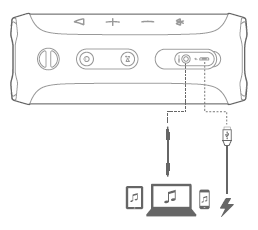 The BLUETOOTH word mark and logos ere registered trademarks owned by Bluetooth SIG, Inc. and any use of such marks by HARMAN International Industries, Incorporated Is under license. 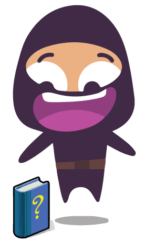 Other trademarks and trade names are those of their respective owners. 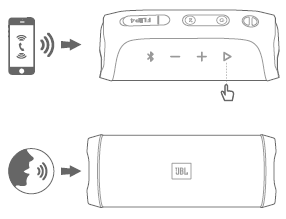 Questions about your JBL-Flip-4? Post in the comments!